There are two seminar spaces in the Harald Herlin Learning Centre for rent. Whenever there are no reservations made in advance to any of our seminar, meeting or group work rooms Aalto students and faculty can book them on the spot using Aalto Space mobile application or website interface. Your unit will be charged according to your reservation. Take part in our exhibition programme. Cosy and flexible event space with a big screen. Central, and easy-to-find venue, including media wall. 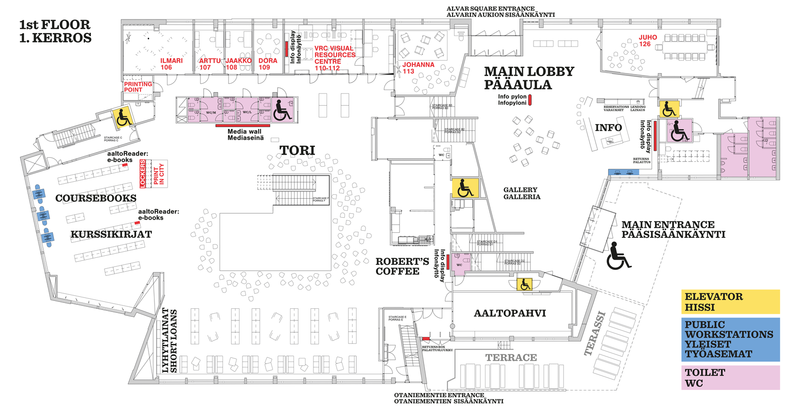 Event & exhibition space at the heart of Aalto's legacy. Gallery for our curated exhibitions near the customer service. 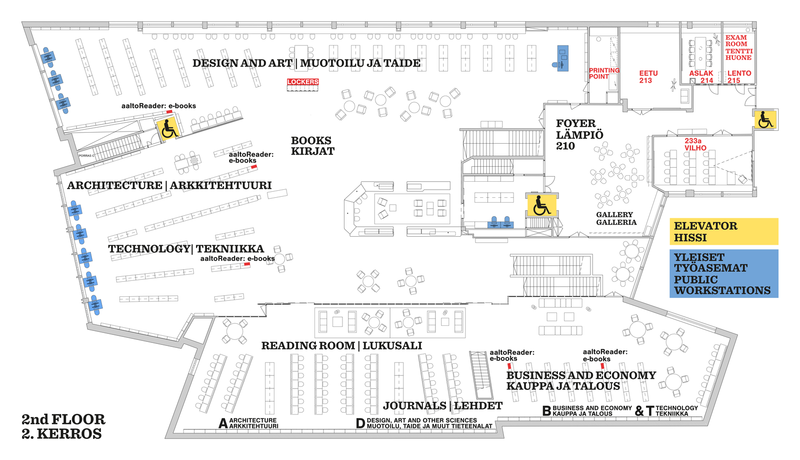 The surface in the middle of the 2nd floor is available for exhibitions.